A charming keepsake book to preserve your preschooler’s first experience with reading and letter recognition! 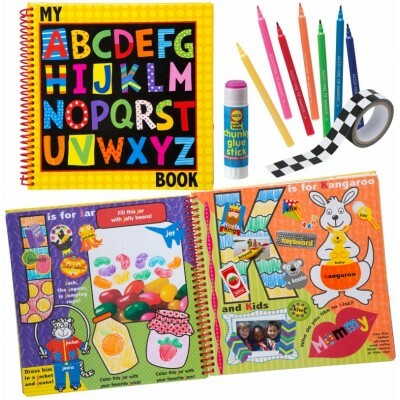 Filled with eye-catching stickers, punch outs and artwork. Create an activity for “A”, a birthday bash for “B” and a celebration for “C” and for every letter in the alphabet. Your child will love reading this book over and over again. 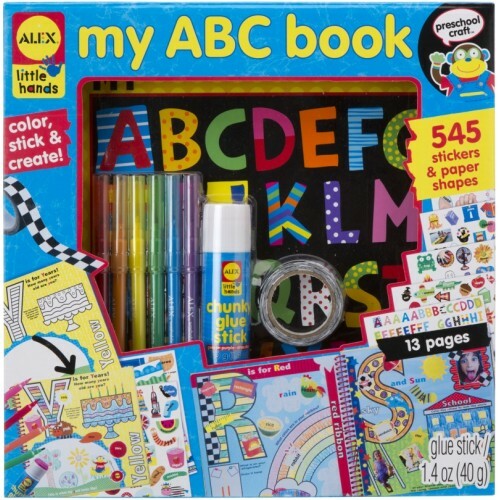 My ABC Book a 26-page ABC book (10” x 10” / 25.4 cm x 25.4 cm), glue stick, 6 markers, 545 stickers and paper shapes, colored tape and picture instructions. Part of the ALEX Little Hands collection specifically designed for preschoolers to learn and develop skills in a fun way.